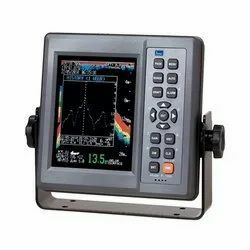 We are supplier and exporter all types of used, reconditioned, Reusable Marine ship Echo sounder like FURUNO echo sounder, JRC echo sounder, KODEN echo sounder, SPERRY marine etc from ship recycling yard ALANG , INDIA. 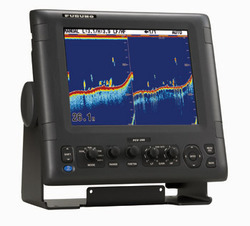 Owing our expertise in the concerned domain, we are highly engrossed in trading and supplying a wide array of Echo Sounder. Takala Trading & Engineering Co.
SatLab SLD-100 is a compact survey grade depth sounder with operational depth ranging from 30 cm to 100 meters. It provides standard depth string streams in $SDDPT, $SDDBT and $YXMTW at 1Hz, 4800 bps which makes the SLD-100 compatible with any Hydrographic Surveying Software package.